While I realize that many of you aren’t quite to the point of visiting your favorite garden center, the fact is that all of us have been hard at it bringing in new stock. One of the early arrivals is bare root plants. These can be shrubs, roses, trees, berries and assorted perennials including vegetables. So let me explain just exactly what a bare root plant is. 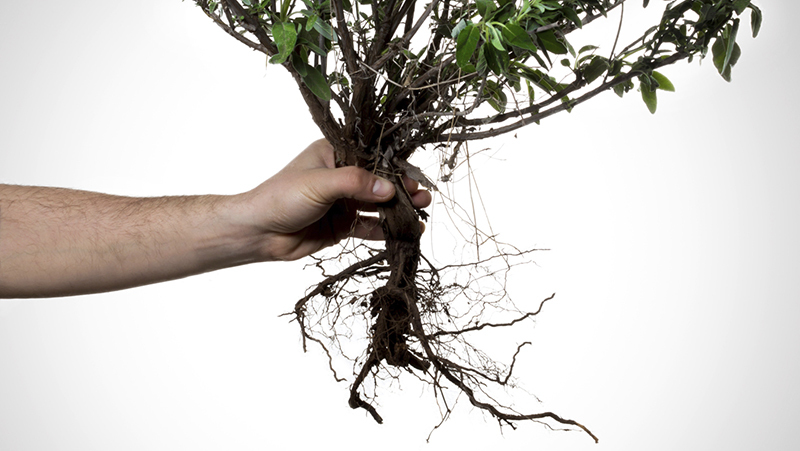 Bare root plants are plants that have no soil on their roots and hence their roots are bare. That’s simple enough don’t you think? Not all plants can handle this kind of abuse but a good many don’t seemed to be bothered. Some of us will sell these plants in the bare state which usually means we lift them out of a sawdust bed, place them in a plastic bag and send them on their merry way, hoping you will plant them immediately. By “immediately” we mean within 24 hours because under no circumstances can you let the roots dry out or the plant may not survive. Garden centers also pot up some bare root plants so they can start to regenerate their root system. Once you get these home you can yank them out of the pots and plant them immediately or wait until you have decided where they should go. Bare root plants have many advantages. For starters, they are less expensive than container grown plants. You can typically save 20-40% off the potted price on shrubs and trees. Another big advantage of bare root is that you don’t have a heavy root ball to deal with nor do you have a pot that needs recycling. They are light weight and easy to handle and even easier to plant. The disadvantages of bare root are that they are only available in January through the end of March so you need to shop early for the best selection. 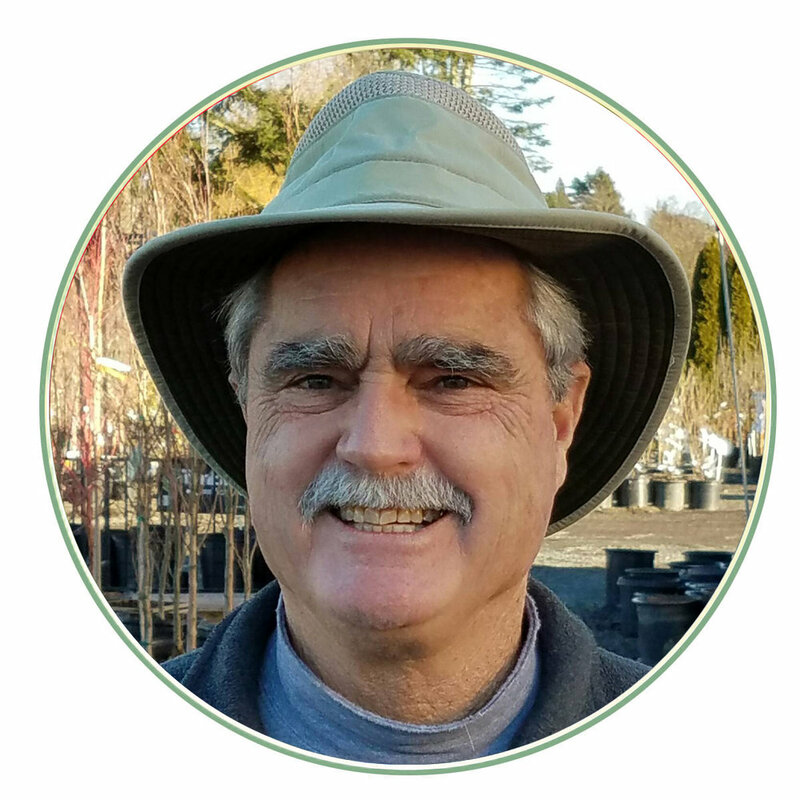 Because a significant portion of their root system was left back on the farm, you need to make sure they are carefully monitored during the first season. Adding of slow release fertilizer (that contains added soil microorganisms) when you plant will encourage new root growth. And finally, sometimes the tops of the plant will need to be pruned to balance the loss of roots and encourage new branches. This needs to be done carefully and is usually best accomplished by a nursery professional. Be sure and talk to us about this before you leave. So January through March is bare root season and there are plenty of good reasons to plant this time of year. While you may think it is too early, bare root plants know it is the perfect time for transplanting. Save some money, save some pots and save some sore muscles by planting bare root now. Educational opportunity: Our Saturday class for this week is on the subject of growing and enjoying house plants. Come learn about all the benefits of having living plants in your home and receive a 20% discount for attending. Classes are free and start at 10am and RSVP is appreciated. Hope to see you here!